According to estimates, more than 6,000 Palestinians are held in Israeli prisons. Scores of Palestinians staged a rally in the Gaza Strip on Monday in support of detainees in Israeli prisons. "RESCUE PRISONERS FROM THE ISRAELI CRIMES"
Organized outside the office of the International Committee of the Red Cross in Gaza City, flag-waving protesters called for the release of Palestinian prisoners in Israeli jails. "We came to show support for our detainees as the [Israeli] occupation is stepping up its violations against them," Abdul Ghani Sharif, a protester, told Anadolu Agency. 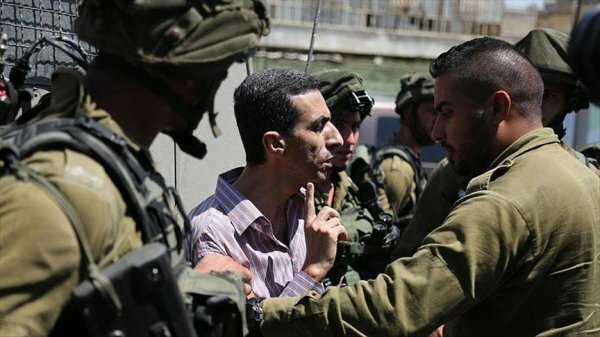 “The occupation is attempting to break [the will] of the captives in prisons," he said, calling on the international community to intervene to "rescue prisoners from the Israeli crimes." 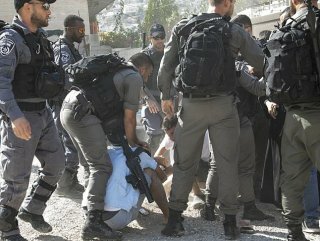 On Sunday, an Israeli force reportedly assaulted Palestinian detainees in the Negev prison, according to the Palestinian Prisoners Society. There are around 1,300 Palestinians detainees in the Negev prison.